Austra – Feel It Break (Domino Records) | "I Prefer Their Old Stuff"
I’m a bit late with this one, as it came out in the middle of last month so you may already know about it but I’ve only just got hold of it, however it could become my ‘summer’ album. Not that the music is particularly summery but I’m finding myself needing to listen to it quite frequently since I got it a couple of days ago and the infectious electro-pop hooks are becoming embedded in my brain. For example I woke up this morning with the lyric “Who-oo signed the consent forms? Who-oo signed, who-oo signed” going round my head. Yes, their lyrics are not the most common or garden of couplets! 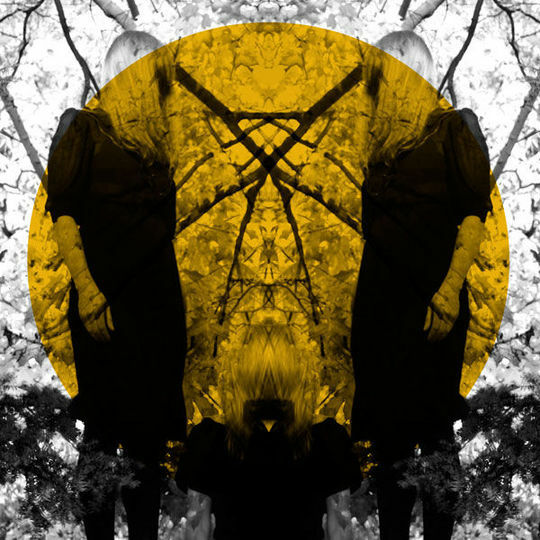 Austra are a trio from Toronto consisting of vocalist and co-founder Katie Stelmanis (the band’s name is actually her middle name), drummer Maya Postepski and bassist Dorian Wolf. Together they produce the kind of dark electronic goth pop similar to Swedish duo The Knife and goth chanteuse Zola Jesus, yet they also retain the danceable electro beat of bands such as Ladytron. It also displays a more sleazy pop side akin to ’80s New Wave acts such as Soft Cell. It’s been an unusual build up to this, Stelmanis was an opera student and at 10 years old she was performing in the Canadian Children’s Opera Chorus, later she was a member of riot grrrl band Galaxy with future Austra band mate Maya Postepski, she also contributed vocals for Canadian prog-punk band Fucked Up’s 2008 album “The Chemistry of Common Life“. So she’s certainly had a varied career so far! The power and clarity of her classically trained voice lifts the music from run of the mill electro-pop to something grander. Although it is reined in for album opener “Darken Her Horse”, almost as if she doesn’t want to scare anyone off. It’s a slow builder of a track leading us into the vocal gymnastics and “ooh oohs” of single “Lose It”. A deceptively simple track that I found strangely addictive when I first saw the video for it on youtube (below). The other single on the album, “The Beat and the Pulse” is quite a bit darker and has a definite feel of The Knife about it, a nice idea to release two tracks displaying different sides to the band’s material. For me the only misstep on the album is “Shoot The Water”, it just seems an attempt to lighten proceedings but it just ends up seeming a bit clumsy and repetetive. But that could just be me wanting more gothy darkness! Although with lyrics like “I want your blood / I want it in my hair” it’s not that light! This entry was posted on June 10, 2011, 12:20 pm and is filed under Music Reviews. You can follow any responses to this entry through RSS 2.0. You can leave a response, or trackback from your own site.